Growth and development is vital for the long term success of any company. Financing your business growth will mean researching the numerous financing routes, and this can include giving up shares in your business. What is the Best Route when Financing Business Growth? The answer to this question will be different for all businesses. Some businesses will be able to use the lending route, which is essentially growth through debt, but others may have to give up some equity in their business. There are pros and cons to each financing method and the options available will be dependant on the actual business. Are Banks the Best Way to Finance the Growth of my Business? Some businesses will use the usual traditional lending methods to finance their business growth but this will not always be an option available to all. 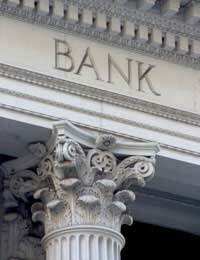 Banks will usually want some form of security no matter how successful the business is. For some businesses, providing security in the early years is not an option. However, banks may be able to provide short term financing options such as overdrafts, credit cards and unsecured loans. Is Borrowing the Best Option When Financing Business Growth? Borrowing from lenders isn’t the only option available but it is a popular one. It may seem strange to grow a business through debt but there are a few positive points. Borrowing through lenders will mean you can avoid giving up any shares in your company, meaning you still retain complete control of the company and the profits. Apart from these significant advantages there may be some tax deductible breaks available on the interest payments. What Does Equity Financing Involve? Equity financing involves giving a share of the company in exchange for business funds. Equity financing can sometimes mean giving over an amount of control in the company. This can mean that the company not only gains funds but also gains an investor’s business experience. Investors will be risking their money and high returns may be expected on the investment. Many businesses avoid this route simply because it means giving away shares in the business they have built up. However, it can have its advantages when it comes to gaining funds and investor business experience. Who Can I Approach for Equity Financing? Business angels and venture capitalists are two of the main options when it comes to equity financing. Both business angels and venture capitalists invest money in companies that they think may be worth the risk. Venture capitalists invest money from a managed fund and will usually take an active role in their investments. Business angels can be individuals or a network of business angels and can also offer excellent business advice as they will normally have a great deal of business experience and resources. What Are the Disadvantages Involved with Equity Financing? As stated, the major disadvantage can be giving up a controlling interest in your company. The other disadvantage is that equity financing is not a viable option for all businesses. Venture capitalists usually invest very large amounts of money in return for shares and the minimum investment they will consider will usually be between £50,000 and £2 million. Venture capitalists will require detailed business plans and financial projections. Business angels will usually require a minimum investment of anywhere between £10,000 and £750,000 and it can take a long time to find the right investor. Are There Any Other Financing Options? Other financing options that can be considered will include credit cards, overdrafts, and loans from friends and family. Business owners can always look for a business partner who is willing to invest some money in a business either as a sleeping partner or with a controlling interest. Government grants and assistance is another avenue to research and may prove useful in acquiring some business funds. Who Can I Contact to Pursue these Financing Options? Agencies such as Business Link and Enterprise Advisory agencies will be able to provide a great amount of help and information. They will be able to advise on the best routes and application procedures whether it is finding business angels or finding financing through local lenders. They will also have a great deal of information on the grants and assistance available through government offices, both nationally and locally.